Tuberculosis and its variant – Drug Resistant Tuberculosis (DR-TB) – are global public health emergencies. Current treatment regimens are expensive, tedious and prolonged: the overall treatment duration is 20 months or more, requiring daily administration of drugs that are more toxic and less effective than those used to treat drug-susceptible TB. Most of the drugs for treating TB are old and are known to have severe side-effects. A new anti-mycobacterial drug, Bedaquiline, developed by Janssen (Johnson & Johnson), today offers fresh hope to those at high risk of treatment failure—especially for people living with HIV co-infected with DR-TB. Bedaquiline was approved by US FDA in Dec 2012 and is indicated as part of combination therapy in the treatment of adults (≥18 years) with pulmonary multi drug resistant tuberculosis (MDR TB). 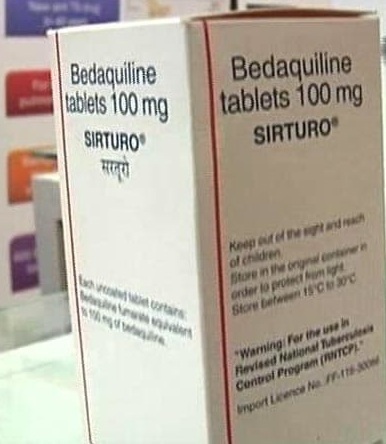 Bedaquiline is a part of World Health Organization’s Essential Medicines List for Tuberculosis. India stands as one of the highest burden countries for DR-TB and so access to TB treatments, including latest regimens like bedaquiline is critical to Indian patients. Janssen markets the drug Bedaquiline Fumarate under the brand Sirturo. It also has Indian patents protecting this drug invention – for instance, its compound patent expires in July 2023 in India. This patent covers Bedaquiline free base, enantiomers and isomers and its various salts, in general. It also has a later expiring patent (expiring in May 2025) that covers combination of Bedaquiline and another drug. Janssen also filed another application (numbered 1220/MUMNP/2009), specifically for Bedaquiline fumarate and its compositions. If granted, this application would expire in Dec 2027 – that is almost 3.5 years after the July 2023 expiry of the compound patent. Nandita Venkatesan and Phumeza Tisile – both Tuberculosis survivors, have now jointly filed a pre-grant opposition under Section 25(1) of the Patents Act, 1970 against this ‘1220 Application. Indian patent law allows any person to file a pre-grant opposition to a patent application. Such person would, for instance, include patients, civil society and pharmaceutical companies. This Opposition filed at the Mumbai Patent Office, argues multiple legal grounds against the patentability of ‘1220 and it also brings to light a potentially disturbing aspect of patenting. The Opponents have cited lack of novelty, lack of inventive merit and evergreening as their key legal grounds in the opposition. The Opponents state that ‘1220 claims lacks novelty since Janssen’s earlier patent document (WO 2004/011436) discloses not only Bedaquiline but also its various salts (thus including Bedaquiline Fumarate) and their compositions. The next ground is that the ‘1220 claims are obvious and do not involve an inventive step. The Opponents argue that based on the WO’436 document and other documents, the ‘1220 claims covering Bedaquiline fumarate and their compositions are rendered obvious. It is here that Opponents also point to Janssen’s earlier (and yet another patent) document: WO2006024667. Interestingly, this WO’667 document relates to an HIV drug – Rilpivirine Fumarate and their compositions. The Opponents specifically disclose a disturbing aspect of the ‘1220 Bedaquiline document – that huge chunks of text from the earlier Rilpivirine patent document were reproduced verbatim, in the later ‘1220 Bedaquiline document (close to 6 odd pages). This scale of copy-pasting, specifically in context of a scientific document, could cast a shadow on the underlying technical efforts taken by Janssen. It would be difficult for Janssen to explain to Controller why such large scale text copying of technical details was done or how such copying itself would impact the inventive merit assessment of the ‘1220 claims. Next, the Opponents argue that the claims of the ‘1220 are not patentable under India’s anti-evergreening provision – i.e. S. 3(d), since Janssen does not disclose how or whether Bedaquiline fumarate composition of ‘1220 has any enhanced efficacy over the known and disclosed compound of the earlier patent/WO’436 document. The Opponents further argue that the composition claimed in ‘1220 is also not patentable under S. 3(e), since the ‘1220 claims cover a mere admixture/ aggregation of Bedaquiline Fumarate with known excipients, without showing any synergism between such excipients and the drug. 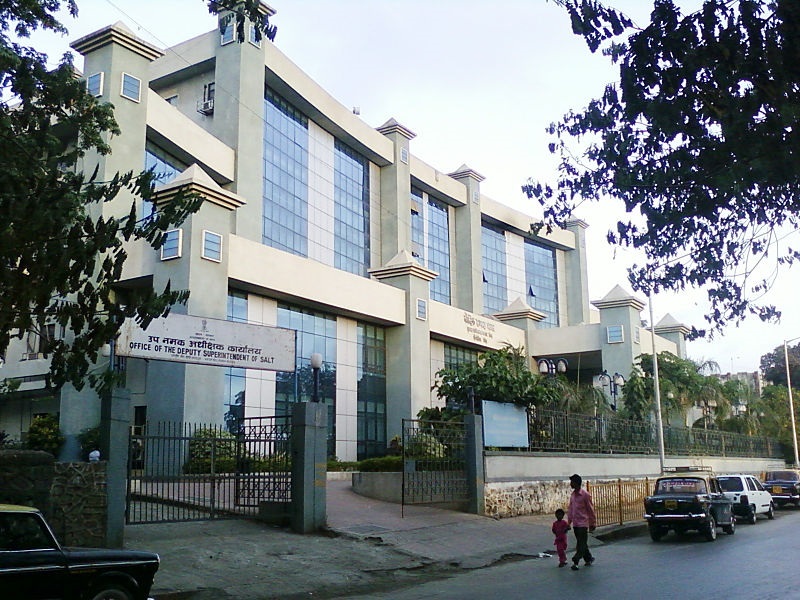 Mumbai Patent Office, which will rule on the Opposition. After an opposition is filed, the Patent Applicant is required to file a reply within three months. Non-filing of reply would lead to automatic abandonment of the Application. If a reply is timely filed, the Controller will then hold a hearing to decide the merits of the Application and the Opposition. Should the Controller hold the Application as patentable, the Controller will grant a patent and which would be then open to a post-grant opposition by interested parties. Should the Controller hold the Opposition as having merit, the Controller will reject the ‘1220 application in entirety or ask for claim amendments that traverse the Opposition’ arguments. In such a scenario, Janssen can appeal to the IPAB. The days ahead will be interesting – for patent applicants and opponents, alike. Sandeep K. Rathod is a senior legal & IP professional from India. He is a registered Indian Patent Agent, with a LL.M. from India and a LL.M. from USA. He teaches Patent Litigation and is a keen observer of Health and IP Policy for the last 2 decades. The views expressed in this Article are personal and based on the documents available in public domain. "Pre-Grant Opposition Filed Against Janssen’s Bedaquiline Fumarate Application In India" by Intellectual Property Watch is licensed under a Creative Commons Attribution-NonCommercial-ShareAlike 4.0 International License.